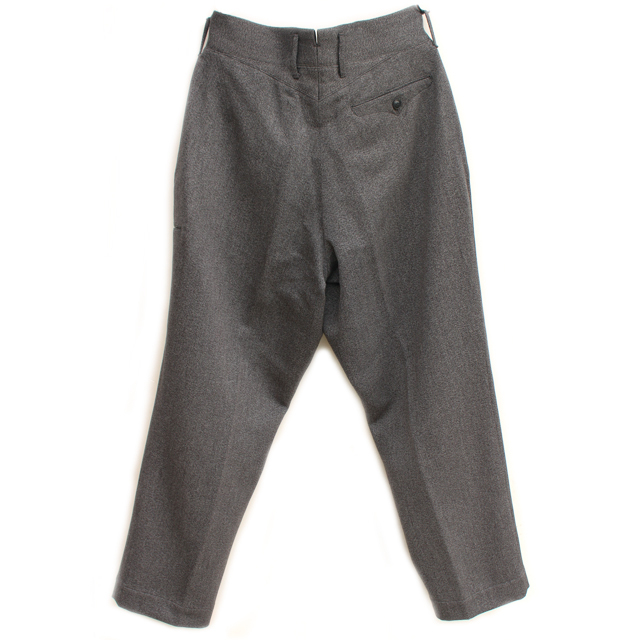 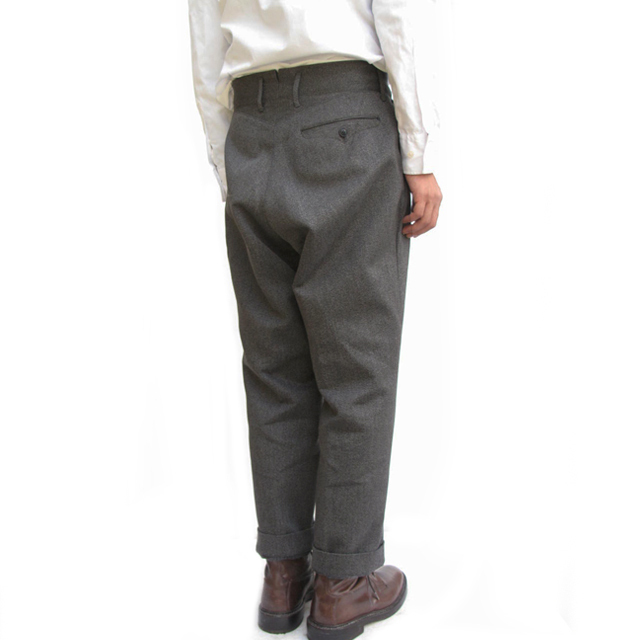 Haversack cavalry tweed peg leg trousers. 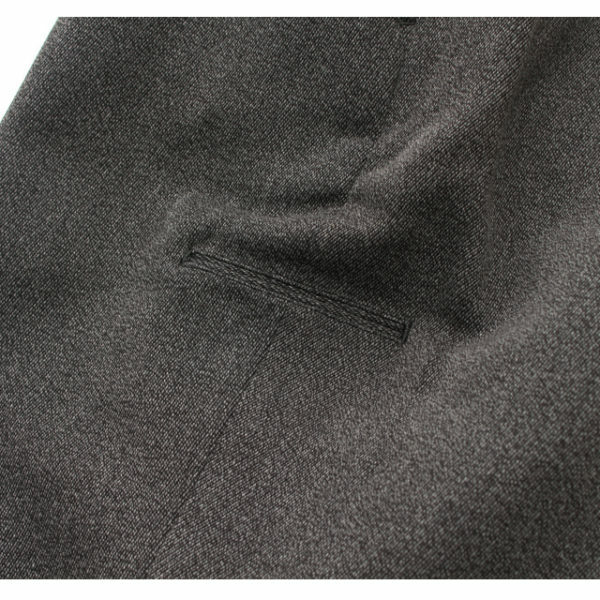 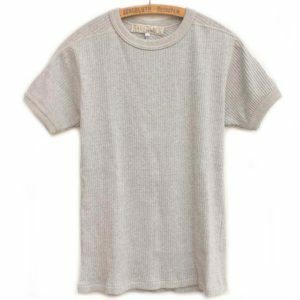 Made from luxury cavalry tweed which has the iconic diagonal parallel ribbed pattern on fabric. 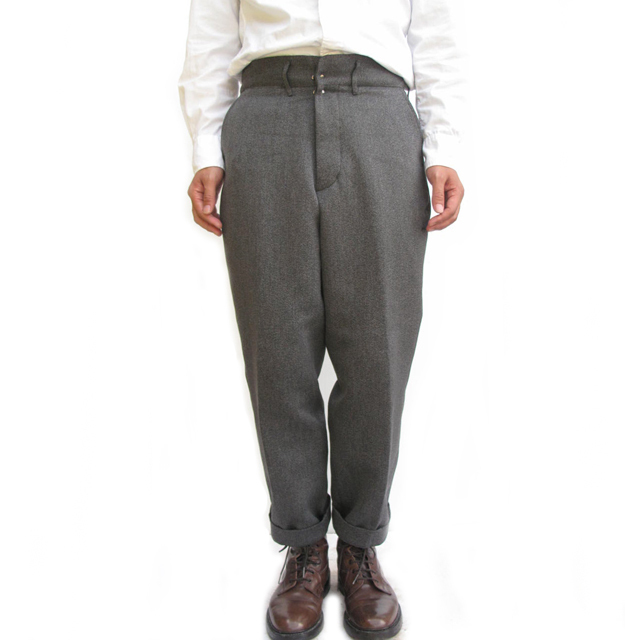 Inspired by vintage British country trousers. High waist peg leg silhouette, roomy around hip area and get tapered toward hem. The leg has become wider than the previous season so they are more like loose trousers. They have five pockets in total including a side tool pocket. 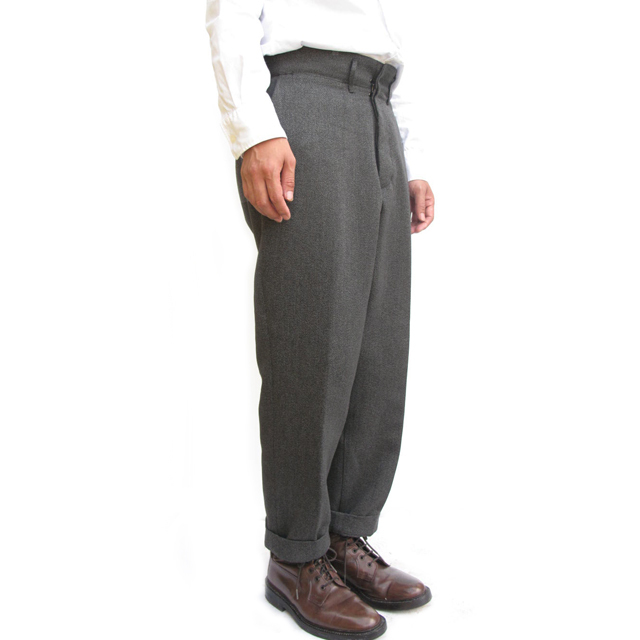 The trousers also can be worn with a shirt tucked in. Great mixture of modern and vintage clothing. 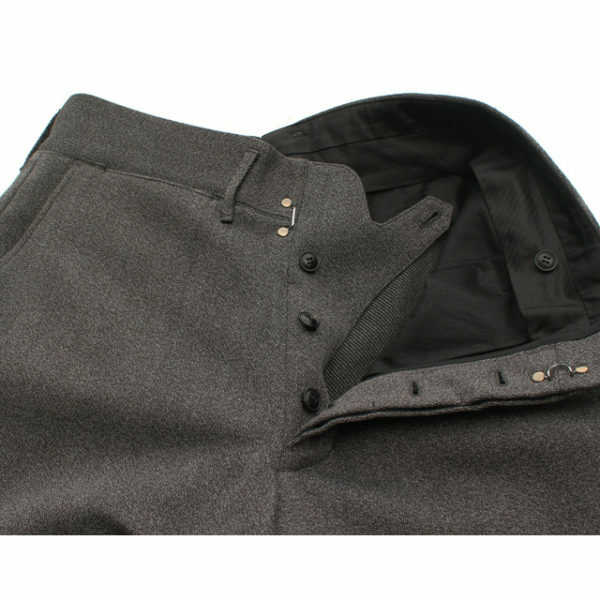 *Waist fitting is smaller than the measurement because of high waist. 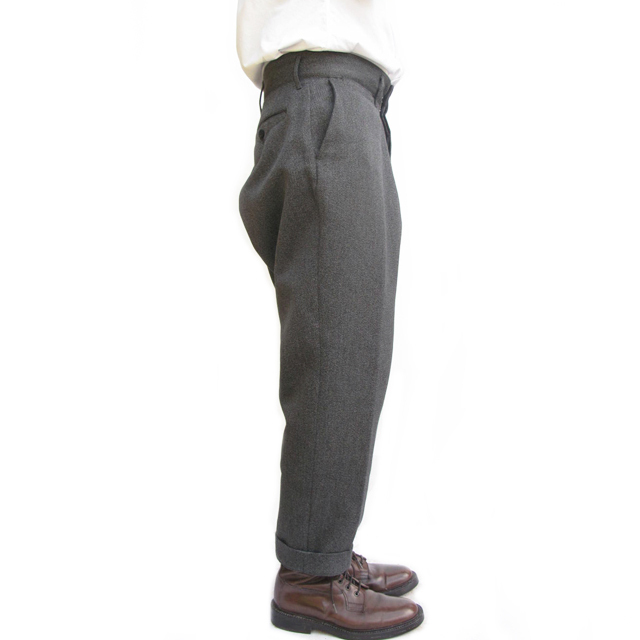 Please choose one size up from your usual Haversack size. Model is 5 ft 75″ (175cm) slim build and wearing a M.